We are currently offering analysis of over 150 biomarkers. SBH Sciences welcomes suggestions from researchers and encourage you to communicate with us about your particular research needs. Please contact us to discuss your needs, and find ways in which SBH Sciences might be able to work with you. We will be happy to assist you. SBH Sciences provides Contract Analytical, ELISA Development Kit services and Multiplex services for the R&D and IVD community. Among our services are HPLC, ELISA, RBA (receptor binding assay), ADA (anti-drug antibodies) and Western. We have developed over 20 highly sensitive and accurate colorimetric sandwich ELISA Kits for the measurement of Cytokines and Biomarkers. Our ELISA Kits are already distributed worldwide. 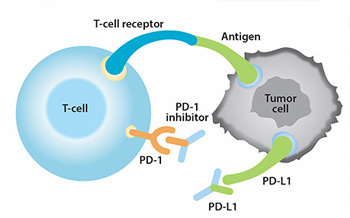 Partial list of our kits is including the following cytokines (e.g., TNF-a, VEGF, IL-12 p70), Biomarkers / Cancer (e.g., Galectin-1, Galectin-3) and apoptosis markers (e.g., Bcl-2, Caspase-3). We are providing custom service that will meet your specific needs. Moreover, we are providing in-house optimization to verify the impact of various serum / plasma / cell culture on your PK/PD study. We will develop and provide a comprehensive instruction manual for performing the assay. It will include all the steps including: coating and wash solutions, blocking and secondary (conjugated) antibody. If requested, we can also perform all the testing of your samples at our facility. Our expertise in the production of recombinant proteins and monoclonal antibodies (MAb) will enable us to produce your desired antigen and MAb and will significantly reduce the cost associated with the production / reagents. In addition, we will optimize the capture and detection antibodies to allow lower detection limit and high precision and accuracy measurement. Validated ELISA-Based Assays Available for Immediate Use. A major challenge in protein research is obtaining quantitative, reproducible, high content information quickly. Since 2013 SBH Sciences and SBH Diagnostics has offered innovative automated Simple Western Blot services using the PeggySue and WES (ProteinSimple). The analysis is based on a novel protein separation using capillary electrophoresis (CE) and a very accurate immunodetection. Proteins can be separated by size as in traditional PAGE Western or by their pI as in traditional CE or isoelectric focusing. This service is especially suited for Pharmaceutical and Biotech Companies using traditional western blots in their research, development, and QC labs. Simple Western will assist scientists in vaccine development, kinase inhibitor, cell lysate analysis (from tissue culture or tumors), and the identification and quantitation of tumor-associated proteins in precious clinical patient samples. View our Simple Western™ Case Studies on the SBH Diagnostics site. The illustration below describes the Fully Automated process, for either molecular weight separation of proteins or separation by their pI. 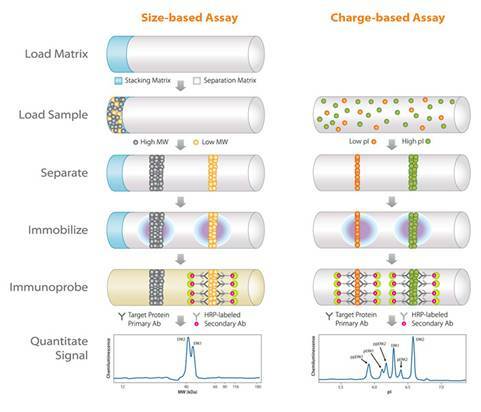 Please contact us to discuss your Western Applications and our service that can provide a fully automated characterization and quantification of proteins. SBH Sciences is offering Multiplex Cytokines Custom Development and Testing Services based on our Cytokine expertise and the Luminex® xMAP Technology. The xMAP platform technology allows simultaneous quantification of MultiAnalyte Profiling including cytokines / chemokines / biomarkers in cell culture and biological samples. We are offering tailor-made assay development of Multi Arrays usually based on already available commercial assays as well as additional of new innovative biological markers. We will develop the assay and will evaluate, verify and optimize the dynamic range, signal linearity, assay specificity and will ensure Multiplex compatibility. We are also providing Customer Sample Testing Services. Our custom assays can be tailor-made for many applications including: Cancer Markers, Cardiac Markers, Growth Factors and Transcription Factors. It might assist to assess the mechanism of action for monoclonal antibodies, recombinant proteins, small molecule therapeutics across a range of disease states including cardiovascular, inflammation, immunology, oncology, and CNS disorders. Our expertise in the production and purification will be applied as well. For example, SBH Sciences can assist you in the isolation of specific biomarker from natural sources or produce it as a recombinant protein while simultaneously, we will also develop your specific MultiAnalyte Method. We are using the Luminex® 200™ analyzer (Luminex and Luminex 200 are registered trademarks of Luminex Corporation). We also can perform Cell-Based assays for you samples using over 400 different cell lines. Please see our unique Cytokine Bioassay Services. Validated Luminex Analytes Available for Immediate Use. SBH Sciences is among the first Contract Research Organizations World Wide that are offering contract services using the Simple Plex Platform (Ella). 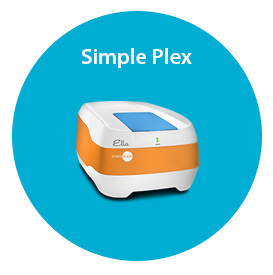 The Simple Plex platform is a transformative immunoassay technology which integrates an innovatively designed microfluidic cartridge with a state-of-the-art analyzer to deliver the most efficient benchtop immunoassay system along with reliable results. It brings a level of automation to the traditional ELISA by providing "sample-to-answer" test results in a sealed disposable cartridge within 1 hour while removing operator related biases. In addition, because of its unique multi-analyte capability with none of the drawbacks of traditional multiplex platforms, this platform has broad applicability in both research and clinical markets. We at SBH Sciences are offering both immunoassy platforms, the Luminex and the Simple Plex Platforms to meet customers' complete workflow in their research and clinical protein applications. Validated Simple Plex (ELLA) Analytes Available for Immediate Use. In conjunction with our strategic partner, SBH Diagnostics we can perform the test under CLIA-certified auspices. Based on CLIA regulation, any materials derived from the human body for diagnostic, treatment, health assessment or prevention purposes can be tested. We believe in working together for our mutual success and encourage you to communicate with us.